In our most recent blog we discussed some of the ways that joining a martial arts class will affect your body. First and foremost, we discussed the fact that martial arts offer a full-body workout that you simply don’t get from most other sports. Then we went on to mention that such a workout almost always leads to weight loss…unless you replace that fat with muscle, because muscle weighs more than fat. After all, our third point was that our martial arts training can lead to increased muscle, considering you’ll be grappling with your fellow students at our martial arts school. Even more important is the bone strength that can be gained, because putting pressure on bones during a grapple is one way that they get stronger. Finally, we talked about how it can help increase your stamina in just about any physical endeavor you undertake. But those are far from the only advantages that you’ll see when you stick with martial arts training. 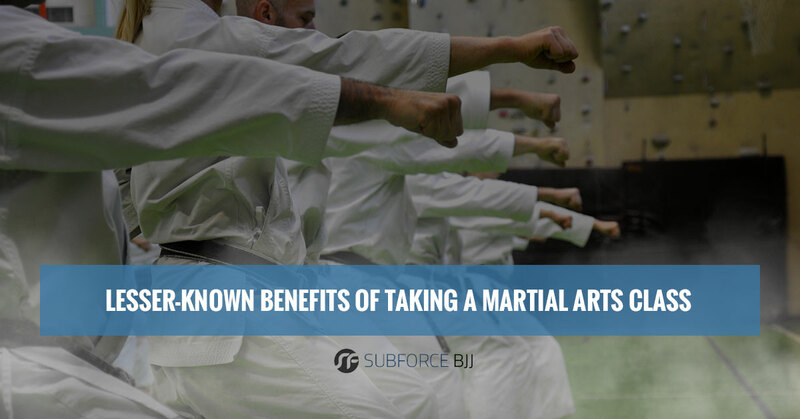 In fact, we’ve got quite a few more advantages you can get from engaging in Brazilian Jiu-Jitsu or Muay Thai kickboxing, and not all of them are physical. Let’s take a look. Like we said, taking a martial arts class gives you a full-body workout, and while it’s a fun activity it’s also a lot of hard work. When you’re working that hard, you don’t want to throw it away by eating terrible foods, smoking, and doing other things that could harm your body. Exercising puts your mind in a “let’s stay healthy” mode, so taking a martial arts class is a great first step toward living a healthier lifestyle. While the exercise itself is important, the goals that you set for yourself can lead to a huge boost in self-confidence. There’s so much to learn when it comes to our martial classes, and there will be specific goals along the way as you learn new guards, escapes, and submissions. As you learn these, you get better, and doing so is a great feeling that can really boost your confidence. That confidence can help you sail past the next (more difficult) task you set yourself to learn. While martial arts training certainly provides excellent exercise, their primary purpose through the centuries has been as self-defense. Nearly every one was developed as a way for unarmed people to take on armed opponents or as a backup for military personnel when their weapons were unavailable. We hope you’ll never need to use the BJJ moves or Muay Thai fighting that you’ll learn in our classes as self-defense. Wouldn’t it be great if the moves you learn were only necessary on the mat or in a tournament? But when you learn a martial art, you always have the opportunity to use it if you need it. As we’ve mentioned, martial arts training gives you a full-body workout and improves your stamina. One of the primary reasons stamina increases is that it improves your heart health, which doesn’t just help today. Having a healthy heart now can improve your chances of living longer in the future, because how you treat your heart when you’re younger can prevent heart disease down the road. The more you use your body, the more you become aware of where it is in space and how to adapt to changing scenarios. All you have to do is look at any professional sport to realize that, the more you perform an action, the better your brain and body connect in order to help you respond. Sure, this is great for when you’re here in our martial arts school and sparring with one of your fellow classmates, but it can also go beyond martial arts. When your body and mind connect better, you improve your proprioception. Whether this means recovery when you trip or improved reflexes when you’re playing flag football, you’re going to respond faster and more accurately thanks to your time taking martial arts classes. Most sports increase your range of motion, whether it’s improving your legs in soccer or your arms in baseball. Because martial arts use just about every part of the body (especially Muay Thai, which is known as “the art of the eight limbs”), you’ll be improving how limber you are. A broader range of motion can help you be a better martial artist. Not only that, but being limber can help in other aspects of your life. Want to rock climb? You’ll need to be able to stretch to that next hold. Want to get a bowl down from a high shelf? You need to be able to stretch without pulling something. You’ll also be able to get back up off the floor faster when playing with your kids! When you want to accomplish a task, whether it’s at home, at work, or in a sport, the most difficult thing to overcome are usually the distractions. Something is always popping up in order to steal your focus, whether it’s television, the internet, or other people. Martial arts training focuses a lot on focus, because we realize that without it you’re not going to be the best that you can be. 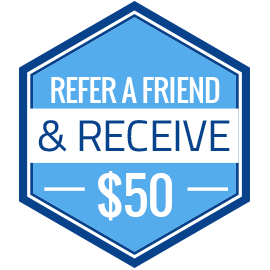 We want your attention so that we can impart knowledge to you and you can get better at the task before you. We also want you to be able to focus on the task at hand even if we’re not there to coach you. The focus tips you’ll learn at our martial arts class can carry over into the rest of your life’s tasks. Discipline can take on a very negative vibe in today’s world. People often think of it as a form of submission, when in fact it’s more about the focus mixed with determination. It’s about learning how to learn and having the drive to get better and better. Science shows time and again that exercise improves mood. Our bodies were meant to move, but many of us don’t let them. The fact that the number of desk jobs corresponds to the rise of depression isn’t surprising. When you come to our martial arts classes, the exercise is going to be releasing the brain’s natural “feel good” chemicals. Finishing a task you set out to achieve will also make you feel better. Overall, it’s just a great way to feel better. Are those enough reasons to stop by and check out what we have to offer at SubForce? We think so. Check out our schedules right here and then stop by to see what we can do for you.